Allison, your collection is so colorful and beautiful. I love the color combinations you selected for each season. Yummy stuff here. Allison, I love your collection! I also like how you took a different tack by having seasons of color. Reminds me of the old days of "Color Me Beautiful" and something for everyone. Great small detail work in your patina and painting. What a beautiful line, Allison. You truly captured the essence of this class and your pieces are stunning Very, very nice! What a beautiful cohesive line. 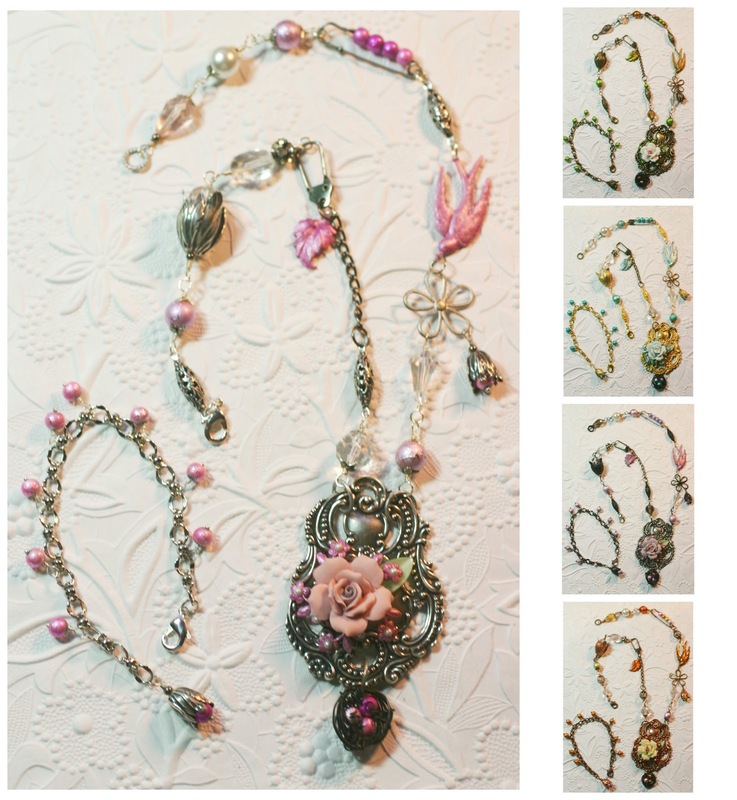 I am impressed at how many creative ways you used your stampings and I love the colors you used. My favorites are the bracelets and the convertible necklaces.